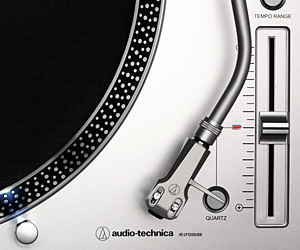 This Audio-Technica AT-LP120XUSB Direct-Drive Professional Stereo Turntable features a new DC servo direct-drive motor, along with adjustable dynamic anti-skate control and selectable phono preamplifier. 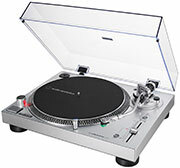 The fully manual turntable plays 33-1/3, 45, and 78 RPM records and is equipped with a USB output that allows direct connection to your computer. Just download the free Mac- and PC-compatible Audacity recording software (or software of your choice) and start converting your records to digital audio files. But in addition to the USB output, the turntable also comes with a detachable dual RCA output cable and is equipped with a built-in selectable phono preamp so you can connect directly to your home stereo, whether it has a dedicated phono input or not. The turntable features an S-shaped tonearm with adjustable tracking force and an universal 1/2"-mount headshell with an Dual Magnet phono cartridge. 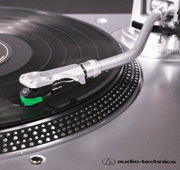 Audio-Technica has been a leader in phono cartridge design for more than 50 years, and that expertise shows in the versatile, high-performance cartridge, which comes with a 0.3 x 0.7 mil elliptical stylus, but is also compatible with any VM95 Series replacement stylus, offering a wide choice of options for every budget and application. 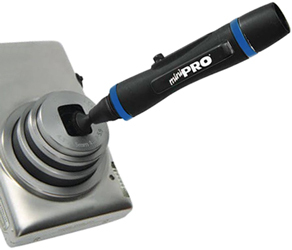 Additional features include a die-cast aluminum platter with felt mat; a start/stop button; selectable high-accuracy quartz-controlled pitch lock and pitch change slider control with +/-8% or +/-16% adjustment ranges; a stroboscopic platter with speed indicator; a removable plug-type stylus target light; external power supply; and a removable hinged dust cover. 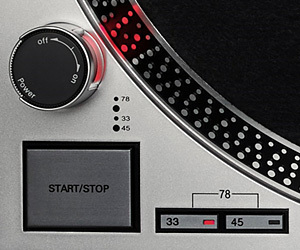 Microdust and contaminants can cause wear and tear on your records and stylus -- they diminish sound quality, too. 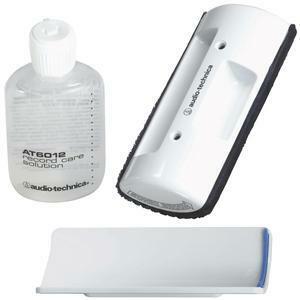 Audio-Technica's AT6012 Record Care Kit is designed to gently remove contaminants while improving record fidelity and tracking. 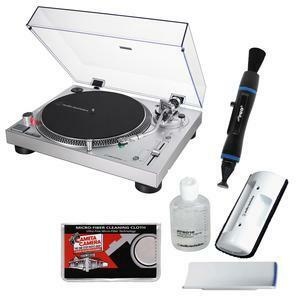 The AT6012 Record Care Kit contains: Audio-Technica Record Care Solution (2 fl. oz. 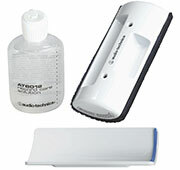 ); Sonic Broom brush pad; storage base; double-sided adhesive tape. 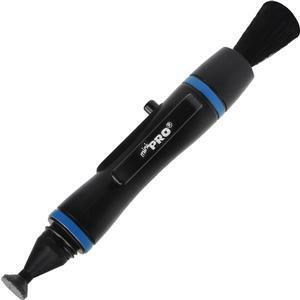 The superior cleaning system for compact optics. 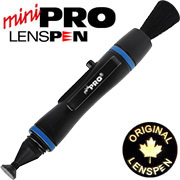 The LensPen MiniPro Compact Cleaning System is perfect for cleaning compact camera lenses, binocular lenses, small aperture spotting scopes and telescopes, eyepieces, and other smaller optical items. Comes with a handy retractable dust removal brush and new invisible carbon cleaning formula, designed to never dry out. Safe for all optics and very easy to use. 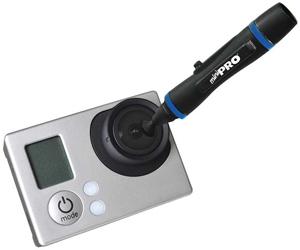 Smaller than the Original LensPen, but just as powerful! 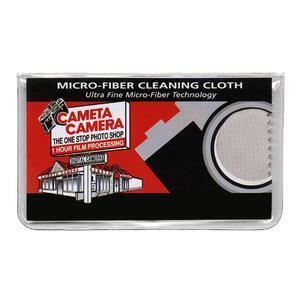 GREAT FOR ACTION CAMERAS, COMPACT CAMERAS, SMARTPHONE LENSES AND MORE!